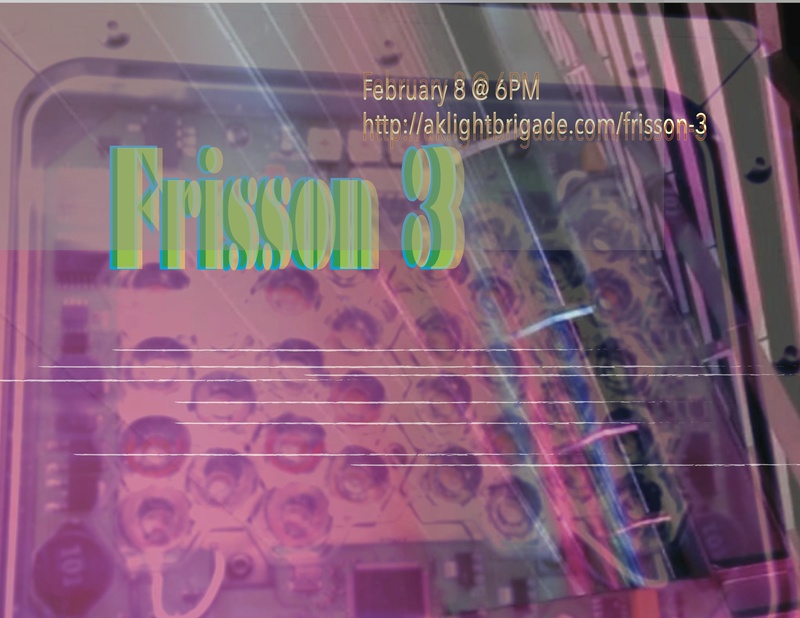 Details: Frisson 3 is the third in a series of pieces that makes use of of the light array on JL Tower in Anchorage. The twenty minute light show was shown four times nightly (February 9-15) while the audio was simulcast on KONR 106.1 FM. To kick off the event a telematic concert was staged in three separate homes around Anchorage. The concert utilized a video of the light show, an electronic composition and the three live improvising musicians. Each musician was in one of the homes along with a recording of the electronics and the video, the other two musicians were streamed live into the other two locations. Collaborators: Christopher Jette(concept design, electronic composition, video production and filming & violin), Yngvil van Gutu(trumpet & concept design) & Cody Keim (electric bass & filming). Currated by The Light Brigade.